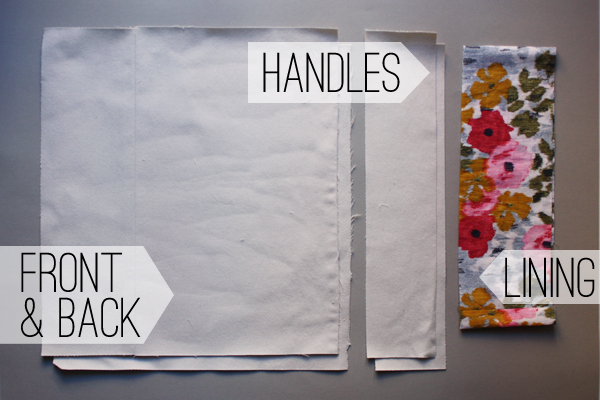 today i (finally) have a sewing tutorial for you, woo! perfect for any level of seamstress. 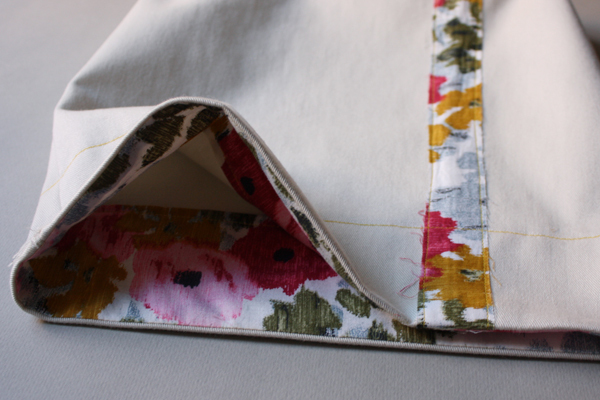 now let's dust off that sewing machine and get stitching! 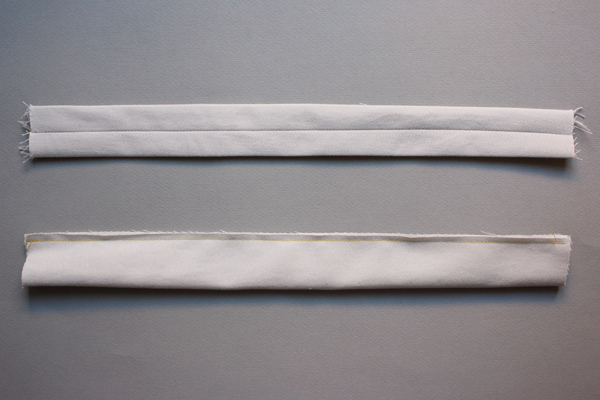 - 2 pieces of fairly heavy duty fabric for your front and back. - 2 long skinny pieces for the handles. 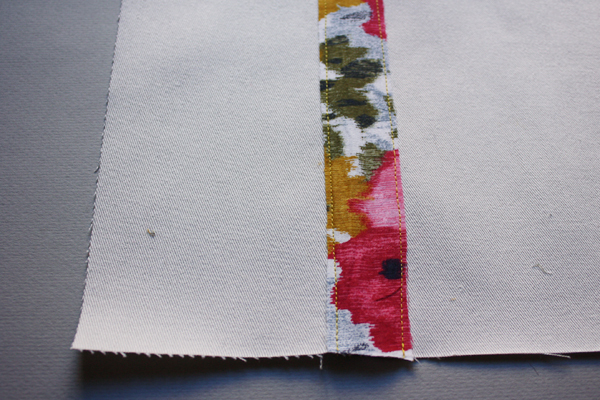 - 1 (or 2 pieces sewn together) of fun lining fabric. 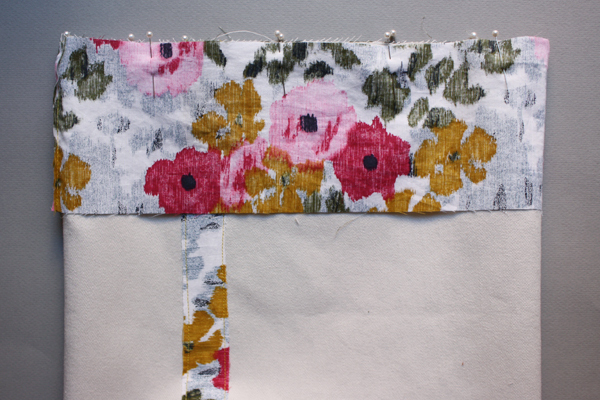 cut it the length of the front + back width, and a couple inches wide. 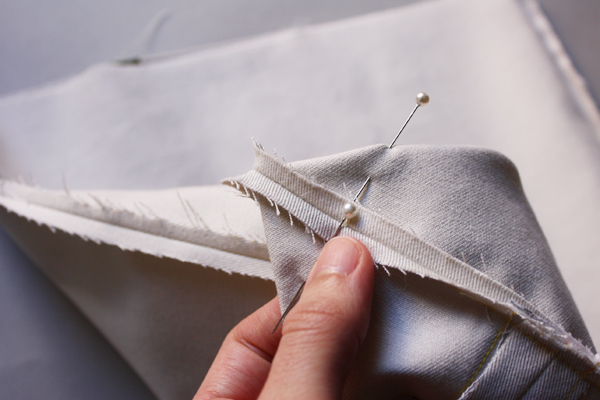 1. if you want to sew any decoration to the front of the bag, now is the time to do it. 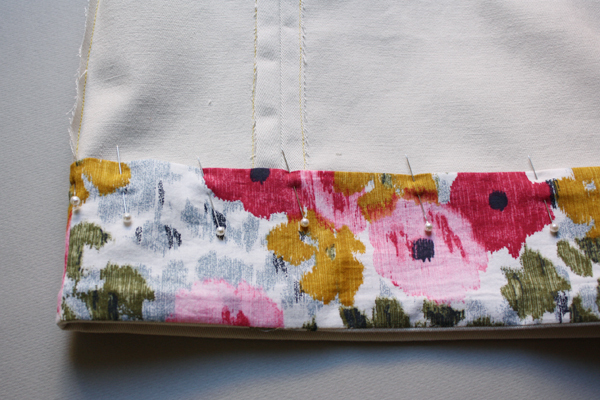 i added a strip of the lining fabric where the pants seam was to hide it, and add a little spice. 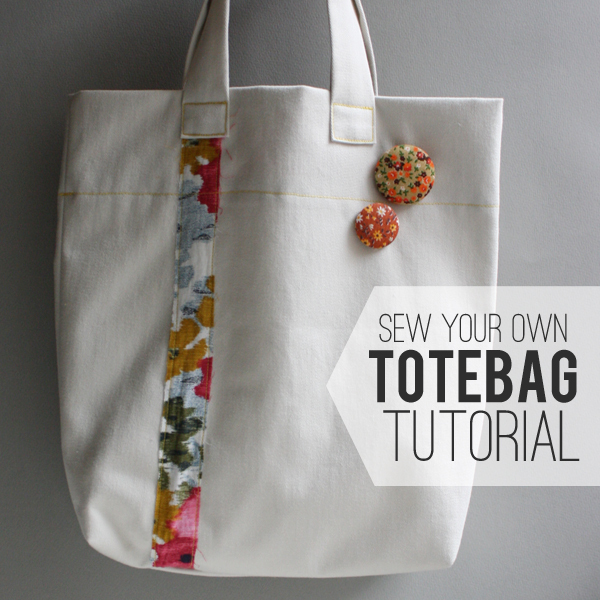 sew up three sides of your front & back pieces to make the bag, leaving the top open. but take your time and you'll feel really cool when you get it! 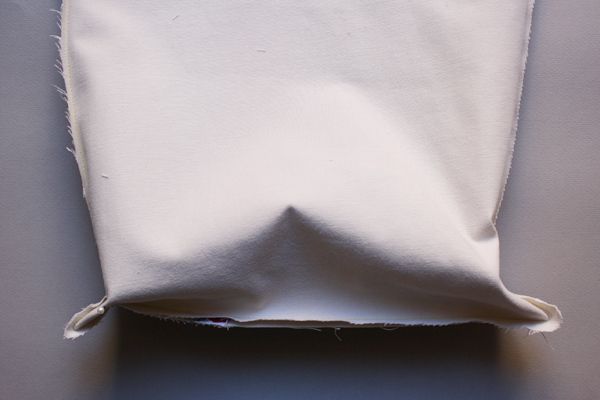 so you line up the side seam with the bottom seam and create a little triangle. stitch a straight line about an inch from the corner, for both bottom corners. now you've just made a quick little bottom for your bag! 4. turn it right side out and admire your handiwork! 5. now for the "lining"! then pin it to the top of the bag, front sides facing. stitch along the top edge. 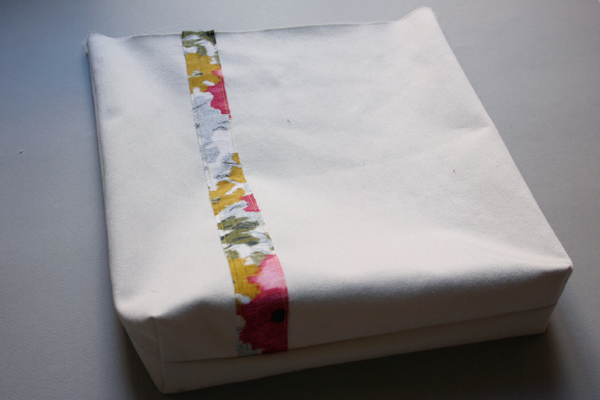 then turn the whole bag inside out so the lining is facing out. 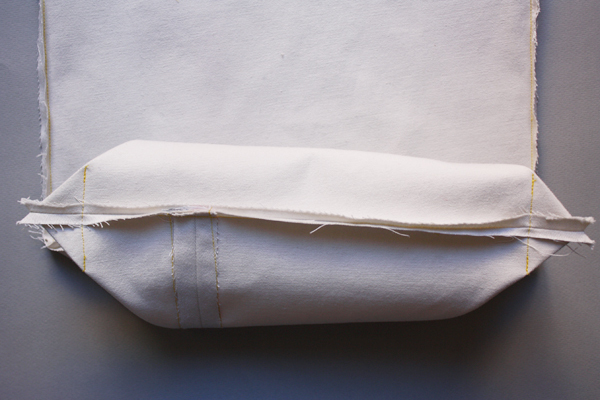 fold under the bottom raw edge of the lining piece and pin it down to the inside of the bag. iron everything one last time, and flip the bag back right side out! then turn them right sides out and iron them with the crease down the center. pin them to the bag and stitch them down! 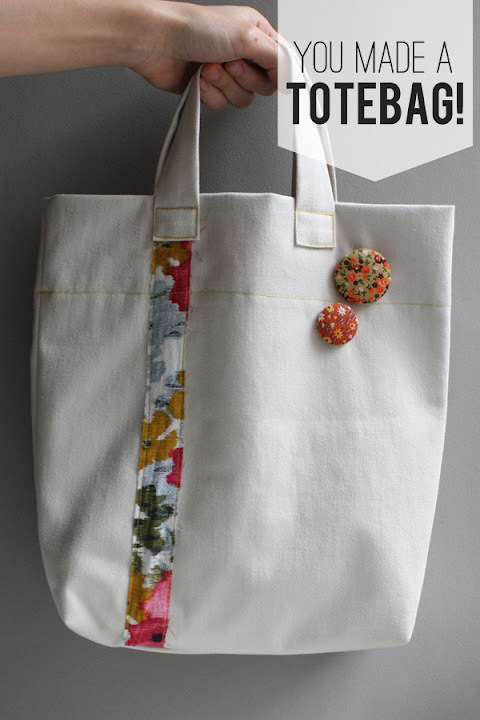 now look at that, you just made your very own tote bag! i added a couple fabric covered buttons, and now i'm ready to go on all kinds of adventures. i would absolutely love to see your projects, so be sure and send me a picture when you finish! Really nice. I like the strip of lining around the inside at the top. It adds a nice touch. VERY cute! I love the little pins. I'm with Katherine. I'm definitely giving this a go on the weekend. I just got my first sewing machine, so I'm hoping I can handle this as my first project. LOVE this! Just posted it on Pinterest if you don't mind! This is wonderful! Love the little bit of floral! This is from your blog!? I saw this tutorial posted in craftgossip.com and thought it was cute. I love the stripe down the side, but not as much as I love the fabric. Floral fabric makes my heart stop. What a cool tutorial! I swear I'm gonna make it!! Glad I found you again! Check out my blog posts on not only my attempt but my cousin's too. We tried ;) Let me know what you think! 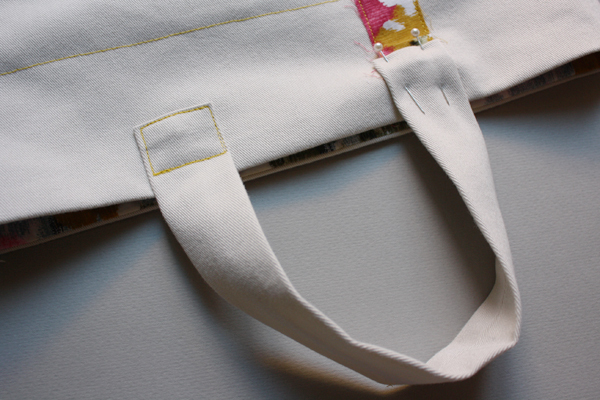 This is truly a lovely tote - thank you so much for sharing!